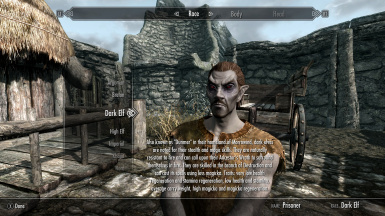 Authors can translate the mod in whatever language without asking for permission first. Authors can provide compatibility patches without asking for permission first. the game will be already YASH'ed. Users testing this beta must remove YASH_RenamedSkillBooks.esp from their Data directory or a double renaming will occur. Related skill books records are already removed from YASH_AllOptionals.esp. 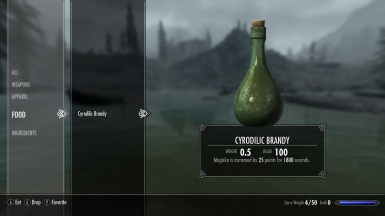 - The ability to search uncommon plants is not based on sheer luck anymore, it now scales to Alchemy skill just like with vanilla plants. The chance to find hidden little treasures is still there. A record in the quest Filial Bonds wasn't imported properly from the UDBP. 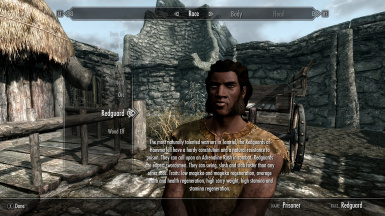 Added messages to inform the player if the followers are equipping weapons, armor or shields they're not skilled with. Practice targets don't increase Marksman skills if the player is too close to the target. Modified perk ranks requirement from 10, 25, 50, 75, 100, 100 to 10, 20, 30, 50, 75, 100 for better character progression. Unique items are unleveled and always the most valuable in the lists. Synchronization for all unofficial patches to version 2.0.6. 3 leveled lists were present in YASH_UnleveledLoot.esp but not in YASH_AllOptionals.esp. Fixed a bug with the female Breton mage loadscreen appearing too often. Quick synchronization hotfix for a last minute USKP fix. 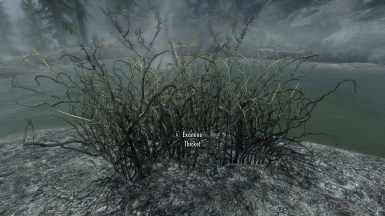 Detached YASH_UncommonPlants.esp from the main ESP for users that do not like the ability to harvest all plants. Added pickaxes and woodcutter's axes to blacksmiths inventories. Further increased arrows and bolts speeds. Removed injected records in the main ESP. Greatly improved and refined the leveled lists sets for both items and NPC. Spriggans and Vampires are now harder. Increased Bandits and Draugr skills. Furtherly tweaked the stamina drain for shield bashing and torch bashing. 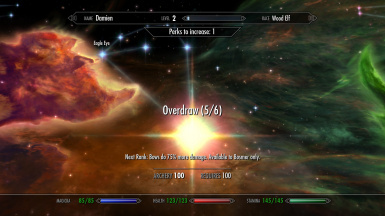 Most skills now grant a bonus Perk Point at 25, 50, 75 and 100 skill levels to compensate the additional perk ranks. 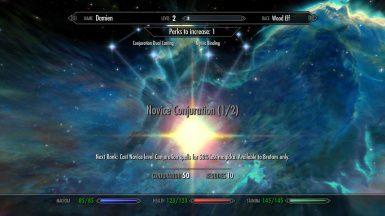 Summons are now weaker to compensate the Triple Souls perk. Fixed a bug with a few chests not containing the right amount of jewelry. Adding torches to merchants inventories in 1.03 didn't actually do anything at all due to them being not saleable LIGH form types -- they are now properly added via script. Scrolls costs weren't proportional to their upgraded powers. A few death items lists erroneusly made their way into both YASH_AllOptionals.esp and YASH_UnleveledLoot.esp. They are now back into YASH.esp. A few soups had the wrong costs and the wrong effects durations. Hearthfire food recipes were present in YASH_AllOptionals.esp but they were not in YASH_FoodsAndDrinks.esp. 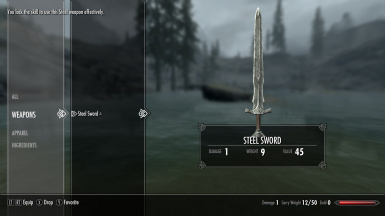 Iron Swords speeds were erroneously hard set to 0.75. 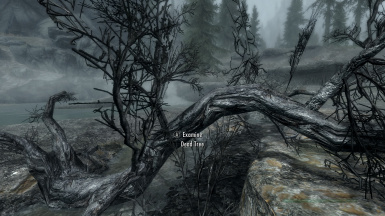 Daedric stuff had the wrong spawn chance causing it to be too hard to find. Stalhrim armors lacked the proper rating improvements over vanilla. A few Silver and Quicksilver ore veins didn't give the proper amount of ore. The Gauldur Amulet and its fragments stats were not properly boosted. All bows lose the "NPC use ammo" flag in 1.13, thus allowing NPC to shoot arrows indefinitely. 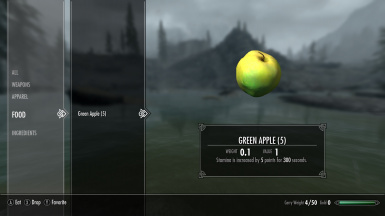 the Alchemy skill didn't affect properly the harvesting chance. Skeletons and Shades lacked the proper perk for melee scaling. Armor skills didn't scale properly to the skill level. Nerfed down the NPC magic scaling to take into account ASIS automatic perks and spells. 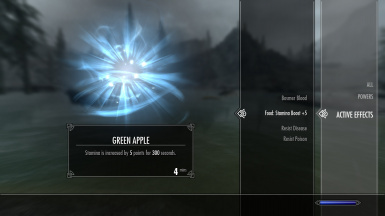 Removed the unnecessary Leveled Spells list. Fixed a bug with the Skeever race being erroneously twice healthy than intended. Fixed a bug with the Twin Souls perk not being properly upgraded to Triple Souls as it was intended. 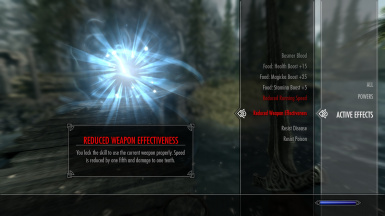 Fixed a bug with the Elemental Perk description mentioning the wrong spell damage absorption. Fixed a bug with both Mirmulnir and Alduin being more powerful than intended. 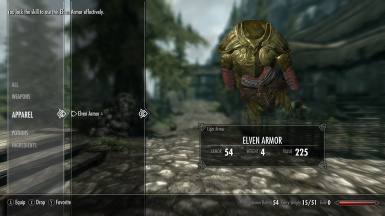 Armors and weapons didn't spawn with the correct rate due to a devastating bug in the xEdit scripts internal editor. 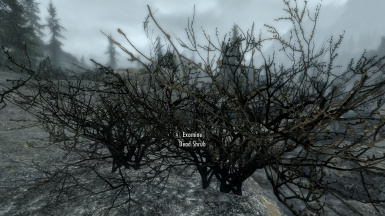 Removed a number of unnecessary leveled lists from the Leveled NPC branch. Increased the scrolls power by an average 4x. Decreased the stamina drain for shield bashing and torch bashing. Increased the spawn chance for the valuable loot. Lowered the spawn chance for the harder enemies. Improved the skills requirements feature by removing a few unnecessary material conditions. Added more gameplay hints to the Help menu. Removed the fixed difficulty setting to enforce the strict "vanilla feeling" rule uniformly. Splitted the mod in several parts for the sake of modularity. Various synchronizations for USKP 1.3.2. 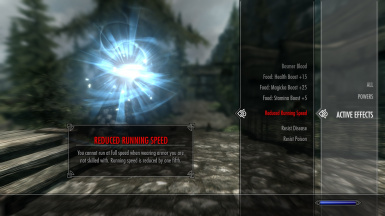 Reintroducing spells failure using animations detection. Decreased the leveled lists entries count to leave more room for other mods. 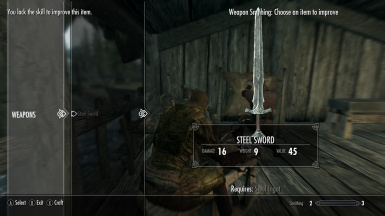 Added material based speeds for all weapons and armors. Just like practice targets, practice dummies can now be used to increase Archery. 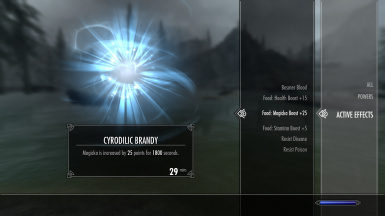 Fixed a bug with the Mage standing stone not properly boosting the spells magnitude. 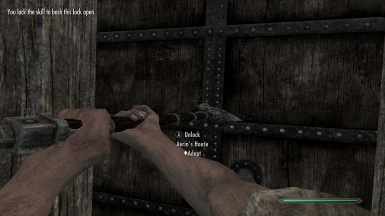 Fixed a rare bug with the messages system improperly informing the player he wasn't skilled with the weapon equipped. Temporarily disabled the spells failure mechanism due to a broken CK condition. 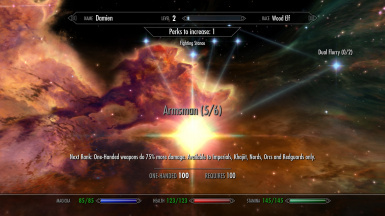 The player doesn't have to reequip weapons and armors anymore to update their effectiveness once he reaches the required skill. Fixed a typo in a few skill books titles. "Conuration" > "Conjuration". Fixed a bug with trainers and skill books not increasing the skills properly when the player is equipping weapons or armors he's not skilled with. 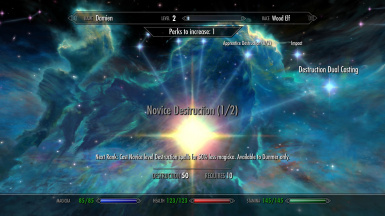 Practice dummies can now be used to train Destruction up to skill level 10. 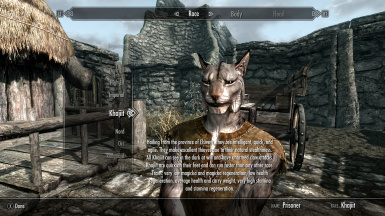 Removed an unused perk entry introduced by a previous USKP version. Fixed a bug in the economy system that caused Speechcraft to increase too quickly. 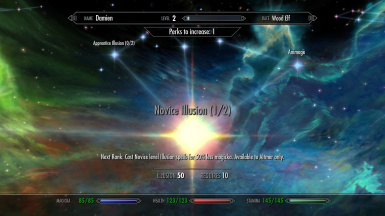 Fixed an issue with the spell failure mechanics that allowed spells to be always casted regardless of the actor skill. 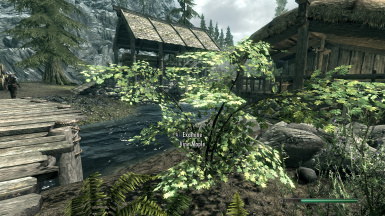 Synchronization for Skyrim 1.9.29.0.8 and the Unofficial Patches. Fixed a bug with the jewelry smithing recipes requiring the wrong items amounts. Altered the Lover Stone so that it now increases the skills effectiveness. 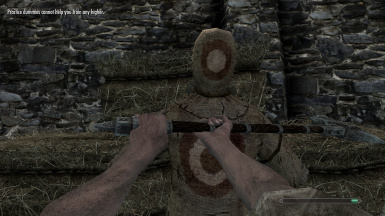 Practice dummies can now be used to increase 1H, 2H and Archery up to skill level 8. 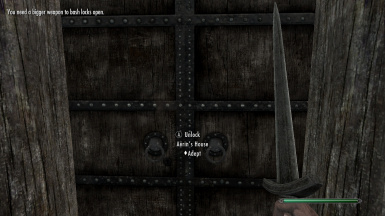 Added a skill monitoring perk to reduce the skill increases with weapons and armors the actor is not skilled with. 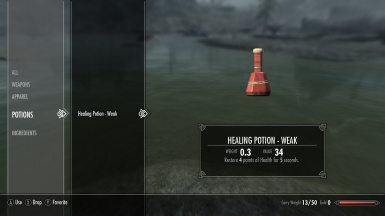 The Well Being potions added by DB lacked the appropriate duration. Added a symbolic cost of 1 gold to altar blessings. Added more gameplay hints into loading screens. Added a further rank to the Eagle Eye perk. Fixed a bug with the Sneak skill increasing faster than intended. Boosted City Guards, Stormcloaks and Imperial Soldiers stats to balance bandits and vampires increased spawns. Added torches to merchants and blacksmiths inventories. Fixed a typo in a leveled list that affected quest rewards. 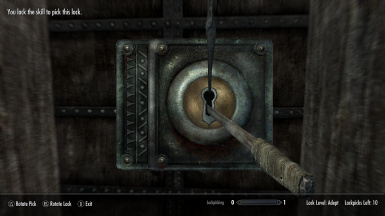 Fixed a stupid bug that prevented lock levels to be detected correctly. majesty, distinction, luxury, renown, eminence and fame.